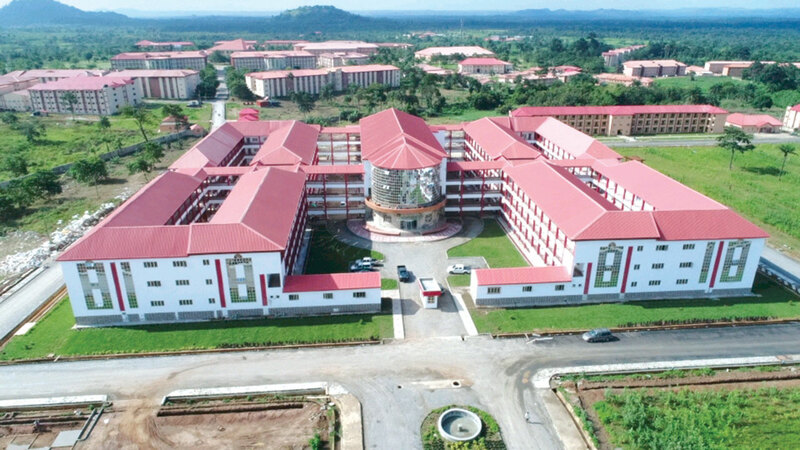 Afe Babalola University, Ado-Ekiti (ABUAD), last Friday celebrated the ninth anniversary of the commencement of uninterrupted academic work in the 21st Century University which has earned a reputable name in the league of high standard universities. The remarkable university commenced academic activities on the 4th of January 2010, with 240 students. As at present, the private institution can boast of more than 7,000 students while it has graduated well over 2,000 students since its maiden convocation. The brief but colorful and impressive early-morning celebration, according to report, was a day of joy for many especially the founder and Chancellor of the institution, Aare Afe Babalola. The event turned out to be a memorable one. The Vice Chancellor of the university, Prof. Michael Ajisafe concentrated on thanking God for His enduring mercies. He also expressed appreciation to the Babalola family for setting the tone of quality and functional education in this clime. Ajisafe, stressed that, apart from the fact the institution now has more than 7,000 students from all the 36 states of the federation and the FCT, the university has also overshot its expectations and overtaken many universities that are several decades older than ABUAD.